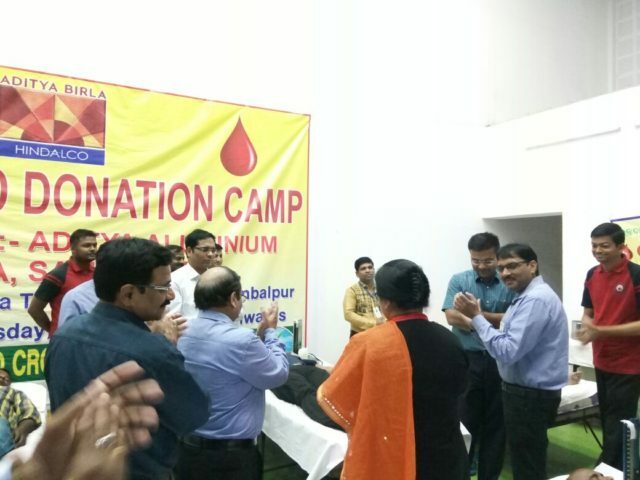 Bhubaneswar : In line with the Company’s policy to serve the local community, the Aditya Birla Group Company, Aditya Aluminium in its plant location at Lapanga in Sambalpur district, has recently organized a Blood Donation Camp in association with Burla Blood Bank, Sambalpur Blood Bank and the local NGos SFA and Sambal in which 122 blood samples were collected. The Camp was inaugurated by the Distt Collector Mr Samarth Verma. The Sub Collector of Samabalpur, Mr Pradip Kumar Sahoo, the Head of Aditya Aluminium Mr Kailiash Pandey, the Head of Power Plant Mr Sushant Guru, the HR Head Mr Sudheer Gupta were present in the camp and encouraged and thanked the donors. The Distt. Collector Mr Verma appealed the people present to donate more and more blood. 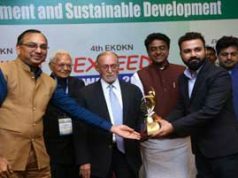 Among others, the Head of the Peripheral Development of Aditya Aluminium Mrs Lopa Mishra, Mr Manoranjan Behera, the Head of Admin Mr Lalit Satpathy, Mr Peeyush Rajguru and Mr Suresh Das successfully coordinated the entire camp.